While we were there we wanted to see as much of the history as possible. We headed to Quincy Market and Faneuil Hall. It was amazing to see the place where our country’s forefathers first debated separating from England. Looking at the large paintings and stage, you could imagine standing there with Sam Adams and expressing your outrage over ‘taxation without representation.’ We also learned how the colonists would test someone if they thought he was a British spy. They asked them “What sits atop Faneuil Hall?” See below if you can tell what it is… (Hint, its not a flag!) Those who answered ‘a grasshopper’ have authenticated their American status! 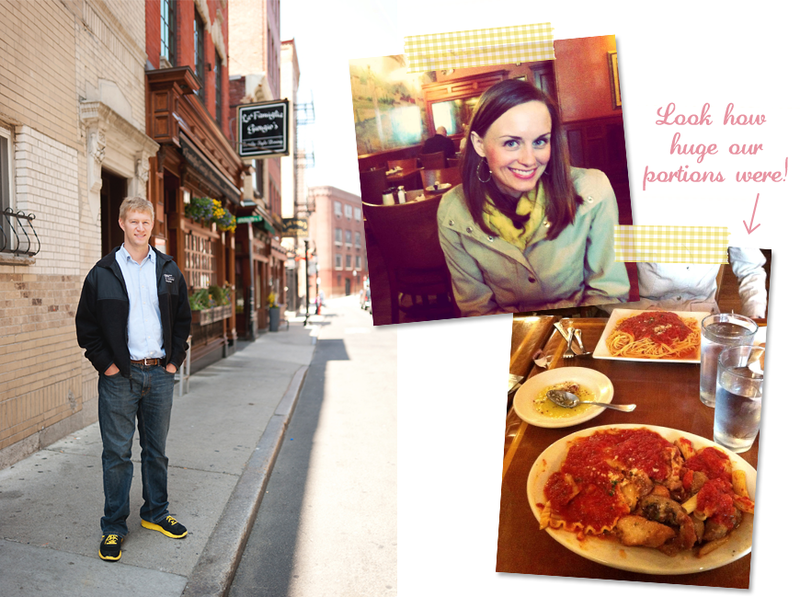 After we saw Faneuil Hall and listened to the tour guide talk about freedom, we headed over to the North End to grab some food from one of the 200+ Italian restaurants. It was hard to choose but we went with La Famiglia Giorgio’s a quaint little restaurant that offered gluten free noodles. The food was delicious and our portions were gigantic! I got a simple spaghetti and Luke got a sampler of 4 different dishes. 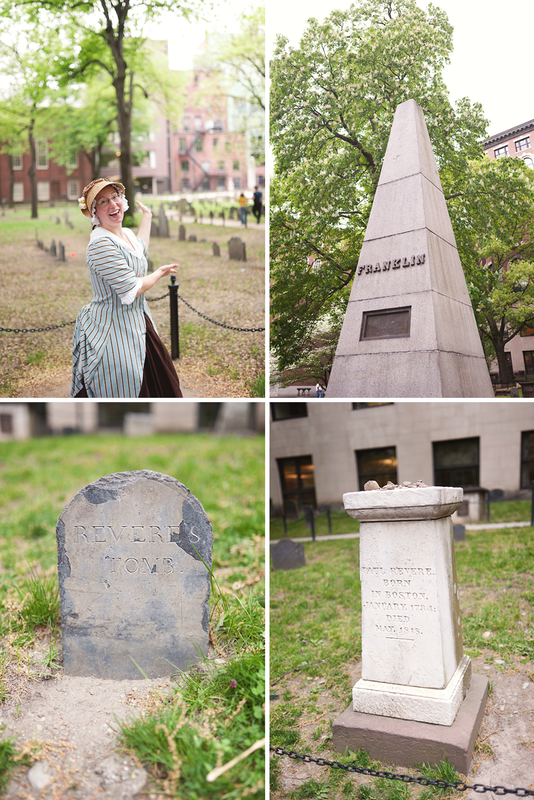 Another thing we wanted to do while in Boston was the Freedom Trail. It was hard to find time for this in-between my conference sessions but we finally found time on our last day. As we were crossing the street to the tour both Luke and I noticed a Franciscan and as we looked closer we both noticed who it was and exclaimed “Fr. Rick!” Fr. Rick was a Franciscan at Franciscan University when we were there. He is from Boston and has since been moved back up there to his home parish. It was fun seeing a familiar face! We had a quick chat and he gave us an awesome blessing. We love Franciscans! We were a little early for our tour so we sat on a park bench and enjoyed the weather. 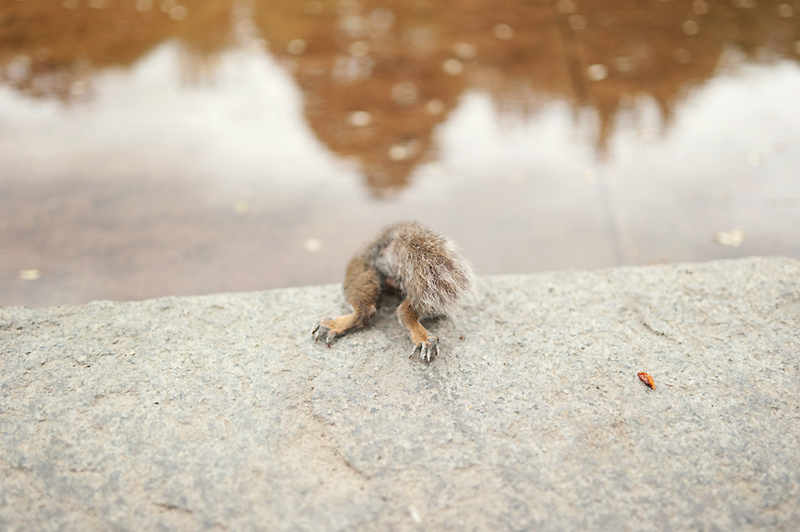 We also caught a squirrel grabbing a drink of water. He was cracking us up! Our tour guide was great and took us all over Boston. 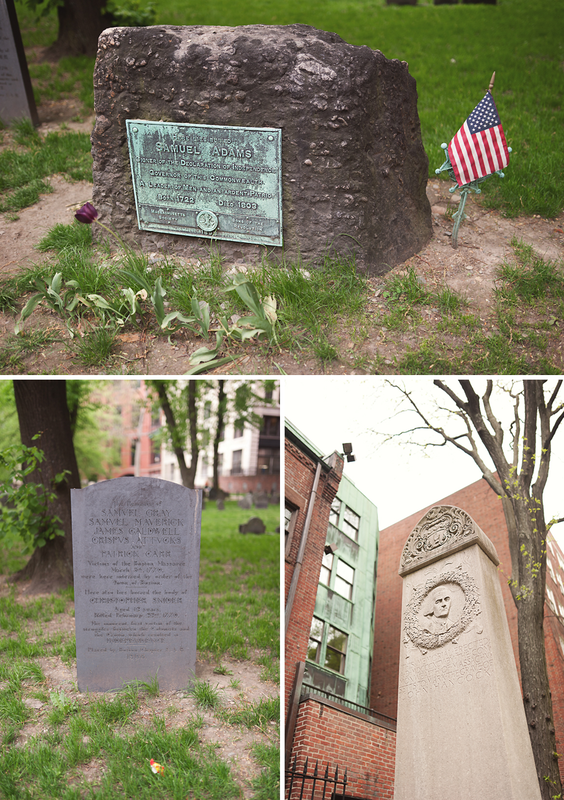 Among other things, we saw where a number of founding Fathers were buried including John Hancock, Samuel Adams, and Paul Revere. Seeing a bar across the street we heard it was the only place you can sit and drink a cold Sam Adams while staring at a cold Sam Adams, ha! We also saw where the so-called Boston Massacre took place and heard how it wasn’t really a massacre. While five US citizens died, including a small boy, the citizens of Boston actually started it after accusing a British soldier of not paying his bill to a local wigmaker. We learned that Sam Adams even laid the victims in his own family’s grave in an effort to encourage the Bostonians to break away from England.